Published: Dec. 7, 2017 at 11:22 p.m.
Atlanta Falcons placekicker Matt Bryant makes a 52-yard field goal for the lead against the New Orleans Saints. 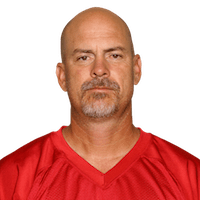 Published: Sept. 7, 2014 at 05:05 p.m.
Atlanta Falcons kicker Matt Bryant connects on a 52-yard field goal in overtime to win the game. Published: Sept. 7, 2014 at 04:55 p.m.
Atlanta Falcons kicker Matt Bryant converts a 51-yard field goal.